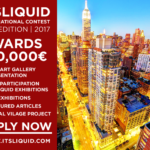 ITSLIQUID Group, a communication platform for contemporary art, architecture and design, is proud to present ITSLIQUID International Contest - 6th Edition 2018. 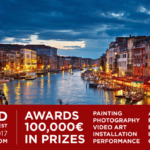 The contest is a great opportunity to present your works in galleries and art spaces in the most influential cities in the world. 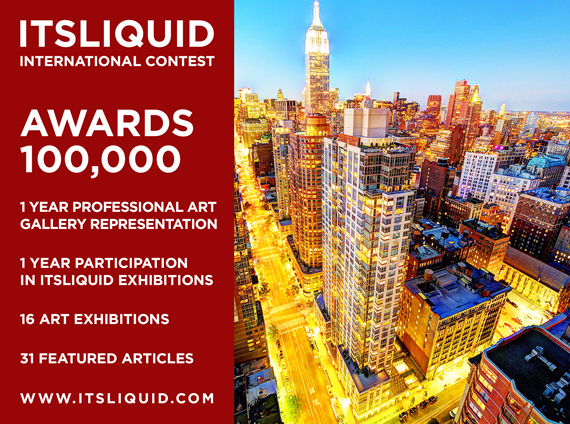 Taking part in ITSLIQUID Contest, you can win the participation in contemporary art exhibitions in Venice during the 58th Art Biennale 2019, in New York City, Bogotá, Buenos Aires, interviews and featured articles on specialized magazines and platforms, one year contracts for the representation in influential art galleries. ITSLIQUID Contest is developed in partnership with a professional jury, composed by renowned curators, gallerists, architects, fashion designers, high level experts and important professionals of the Art, Architecture, Design and Fashion Worlds and with our media partner Project Baikal, a journal that focuses on architecture, urbanism, design, heritage and landscape. 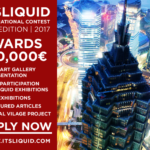 ITSLIQUID Contest is composed by ten categories: painting, photography, video-art, sculpture and installation, performing art, architecture, product design, fashion design, computer graphic, illustration and drawing. The deadline for registration is January 31, 2019. REGISTER NOW! To take part in ITSLIQUID International Contest download the official Contest rules and choose your Submission plan according to the number of works you want to submit. You can apply to the contest in 2 different ways: using the official online submission form or by email. Click here for more info about the submission process. APPLY NOW TO ITSLIQUID CONTEST! WINNERS will be selected by professional Jurors’ vote and Public vote. The Jury will select 1 winner and 2 honorable mentions for each category. 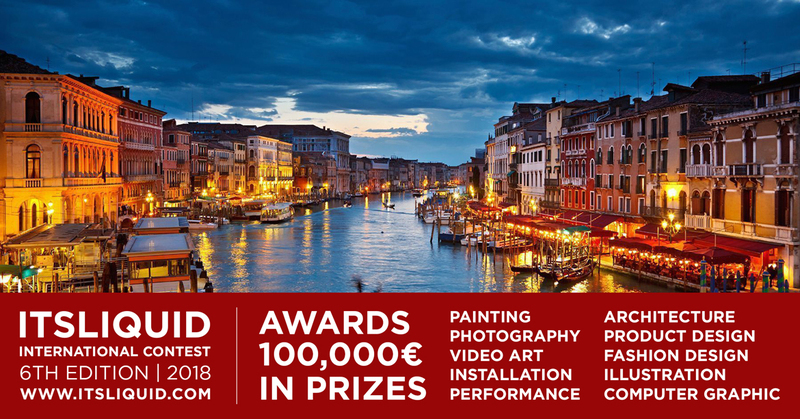 Among the winners of all the categories, the Jury will select the "winner of winners" that will be awarded with 1 YEAR of participations in all the Exhibitions organized by ITSLIQUID GROUP in Venice, New York City, Bogotá, Buenos Aires. 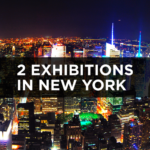 The other winners of all the categories will be awarded each one by one participation in a Contemporary Art, Architecture and Fashion Exhibition in one of the most relevant cities of the world, Venice, New York, Bogotá and Buenos Aires, and a featured article on ITSLIQUID platform. All the participants selected as honorable mentions from all the categories will be awarded by a featured article on ITSLIQUID platform. Among all the participants, ITSLIQUID GROUP, in collaboration with the related Gallery Manager, will select 3 artists/architects/designers/fashion designers that will be awarded with 1 YEAR of representation in a professional renowned Art Gallery in Venice, Bogotá, Buenos Aires. The Public vote will be realized on ITSLIQUID Group official Facebook page. After applying for the contest, ITSLIQUID will upload the submitted works on ITSLIQUID GROUP Facebook page and give the participants the direct link of their artworks. To vote and be voted it is necessary to share the works' links and like the works’ pictures on your Facebook page. The participant with the greater number of "like" will be the winner. 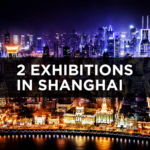 The most voted participant will be awarded a featured article on the prestigious international art, architecture, design and fashion magazine ArtStyle distributed in 25.000 copies. Download the CONTEST RULES and SUMBIT NOW!